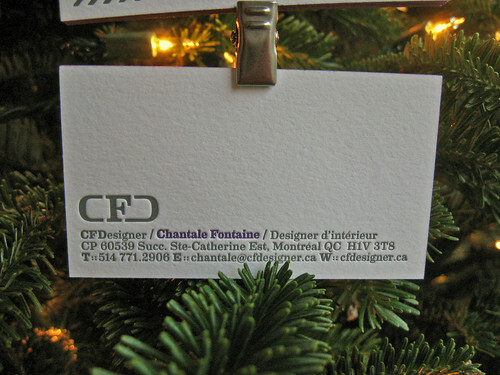 Today we’re posting business cards we recently printed for Chantale Fontaine, an interior designer based in Montreal, Québec, Canada (Her company is CFDesigner). 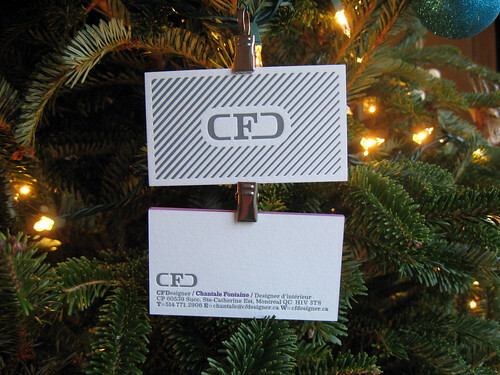 She worked with Maxime of Maxetbert, a graphic design studio also in Québec. 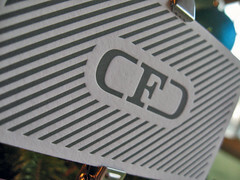 They wanted to combine a contemporary look mixed with a classic high-end finish (that’s where the letterpress came in). 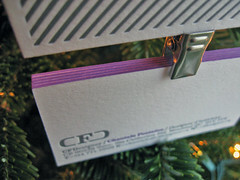 The cards turned out great with a good mix of color and a touch of edge coloring to add pop. 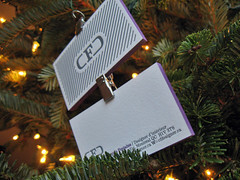 The card was printed on 110# white cotton stock and then duplexed to create a 220lb card. 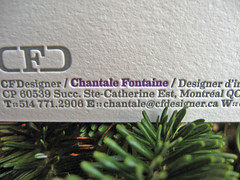 Chantale really focuses on the details of a design and is often said to have that “un petit plus” touch (it means ‘a little more’ for the non-french speaking readers). 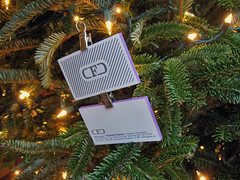 We actually did two renditions of the cards, the front started out as a blind press with a touch of transparent white but there wasn’t enough contrast so the color was changed to medium gray. 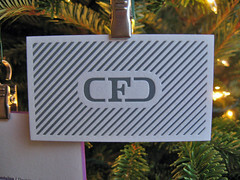 The back of the card continues from the front with the CFD logo and contact information. 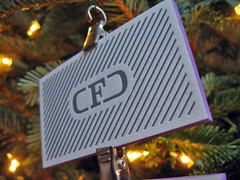 To add a touch of contrast Chantale’s name was printed in a custom purple color. 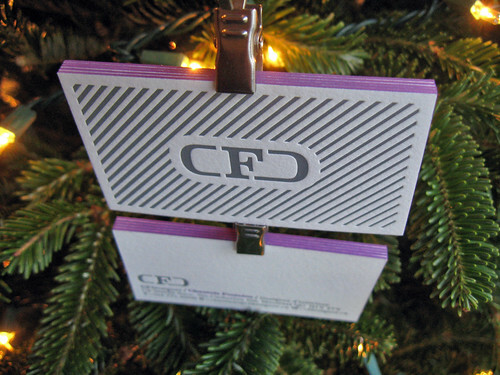 Because the cards were duplexed, the impression from the front doesn’t affect the back (and vice versa). 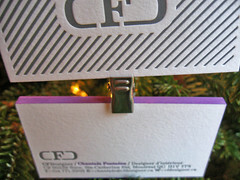 The last ‘touch’ was the purple edge coloring, done to match the purple ink printed on the card. Bright colors always work great with edge coloring! 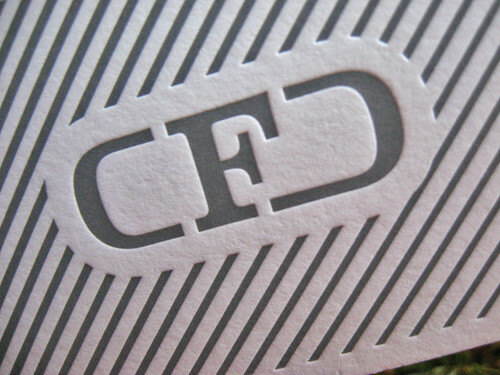 If you’ve got a custom project, email us (contact@dolcepress.com) for a quote and more information on production.